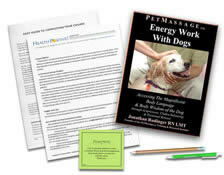 Do you have the Energy Work With Dogs textbook? See your enrollment options above for "I already own the text". This course explores the energetic dynamics between people and dogs with detailed text, photographs and charts. 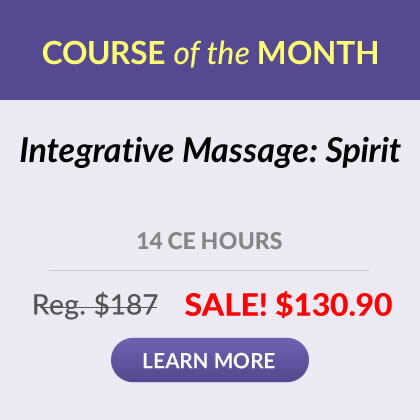 It includes the concepts behind a variety of massage practices, positional release techniques, acupressure, healing touch and chakra balancing. The textbook author, Jonathan Rudinger, RN, LMT, is the president of The International Association of Animal Massage and Bodywork. This course does not teach hands-on skills. Correctly identify the scope of the practice outlined in this course. Identify the physical, emotional and behavioral benefits of massage for dogs. Identify the benefits of massage for older dogs and for dogs before and after surgery. Identify at least five nonverbal areas of communication between the dog and human, including the signs of acceptance or refusal to massage. Describe the key elements of the “pushing the tree” exercise. Describe the massage exercises that help increase the therapist’s sensory awareness. Identify the key elements of the assessment procedure. Identify the benefits and contraindications for each of the following: grounding strokes, compression, stroking, skin rolling, body rolling and rocking, stretching the coat and limbs, percussion, and integration. Describe the different types of Chi; identify at least five acupressure points and their locations on a dog, and describe the effects to the dog when the points are touched. Identify the meridians’ properties and direction and recognize the contraindications to meridian work. Describe the three lower energy shells; identify the chakras and their properties, and recognize the location of each chakra. List the major filters through which a dog relates to him/herself and the environment. Define intention and entrainment and their relationship to massage. Describe the table requirements necessary for the therapist and the dog’s comfort, safety, rhythm and flow during the massage. Recognize the body mechanics that enhance and restrict the flow of chi and list the high-energy points on a dog. Compare and contrast the purposes of ruffling and unruffling and recognize the importance of motionless holding. Describe the assessment sequence; identify common contraindications to treatment; recognize the recommended session sequence, and list the possible post-session responses of the dog. Identify the author’s perspectives about the future of holistic animal care. Identify at least one method to support the growth of holistic animal care. 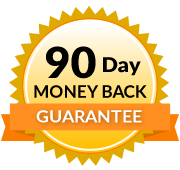 "We know that the Yang meridians run primarily from front to back and top to bottom. Yang is on the dorsal and lateral (upper and outer) parts of the body. We know that Yin meridians run primarily from back to front and from bottom to top. Yin is on the ventral and medial (lower and inner) parts of the body.